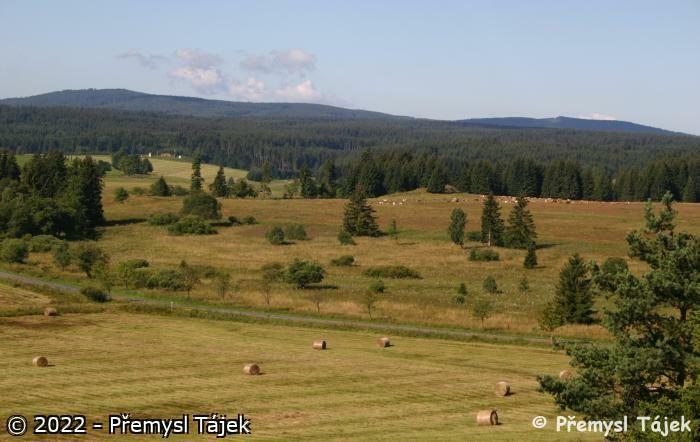 Western part: Raised bogs and forest peat-bogs, transition mires and wet meadows in central and in the highest part of the Slavkovský les Highland. 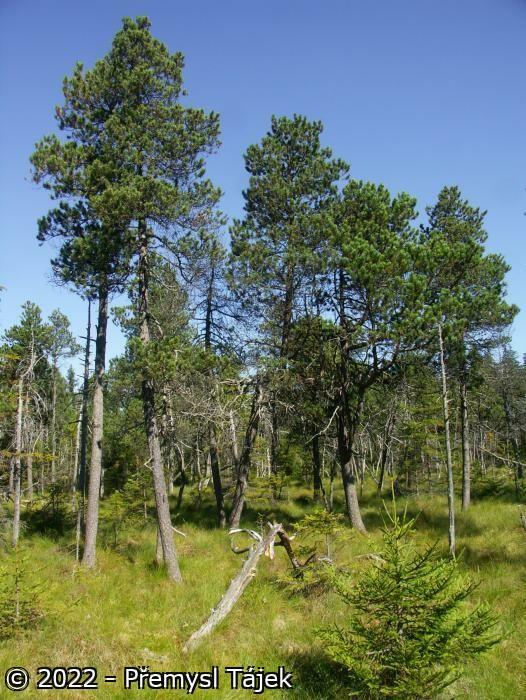 Well preserved vegetation of Pinus rotundata bog forests and bog spruce forests. 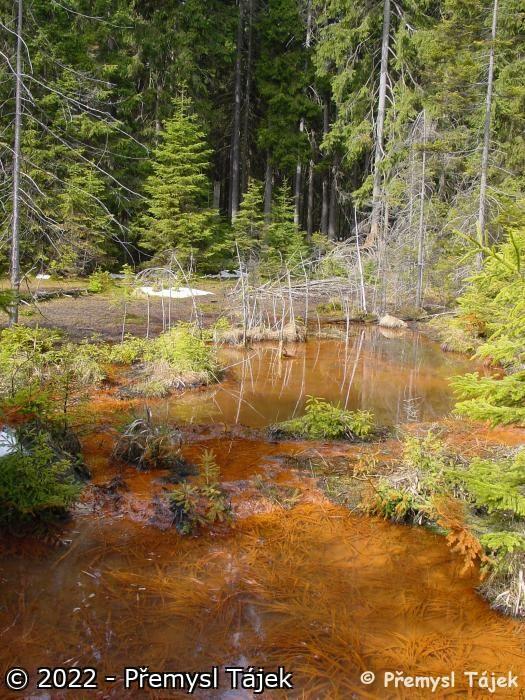 Eastern part: Non-forest fens, transition mires and wet meadows with wild mineral springs (above all ferrous mineral springs) with unique mineral composition. Wet flat depressions in the plateau of the Tepelská vrchovina Highlands and back-to-back central part of the Slavkovský les Highlands. Well preserved (though for decades abandoned) vegetation with numerous and abundant endangered vascular plant species typical for wetland. Western part - Geology: granite, amphibolite, quarternary sediments and peat. 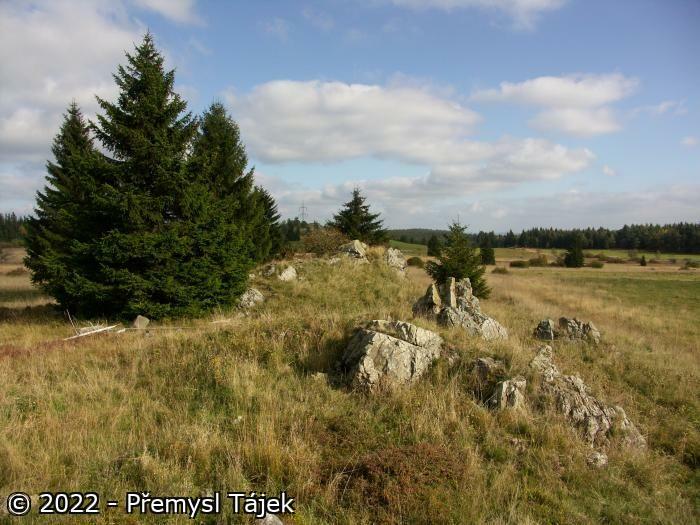 Geomorphology: mainly flat plateau in the highest part of the Slavkovský les with several large and shallow depressions filled with peat. 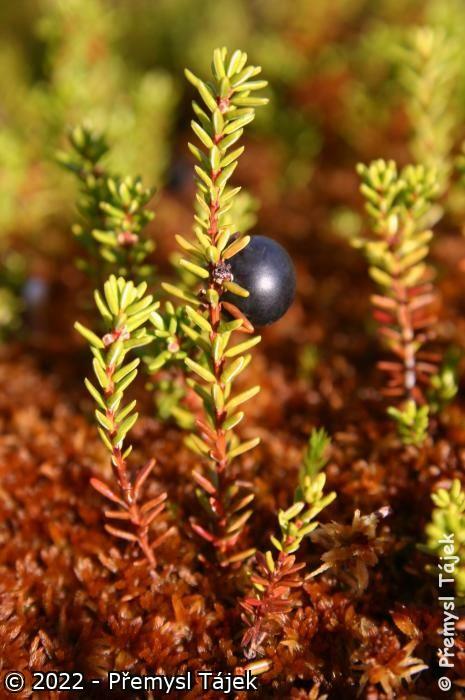 Vegetation: primary Pinus rotundata bog forests, bog spruce forest, transitional mires, raised bogs and secondary spruce forests. Hydrology: source area for several smaller brooks and important infiltration area for related mineral springs. Soil type: quarternary sediments, peats, cambisoils. 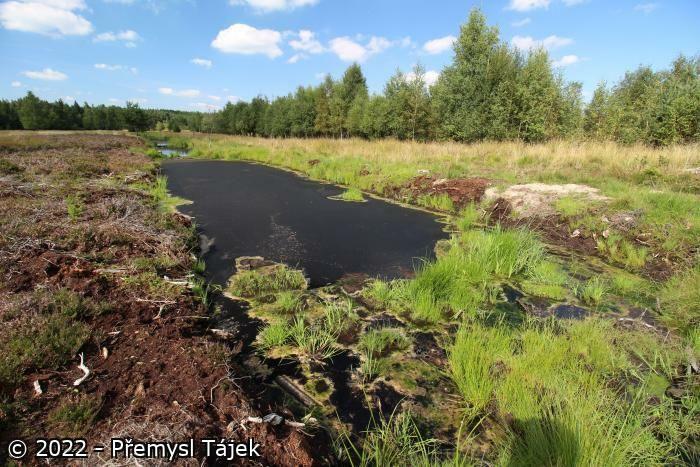 Water quality: acid peat waters with high amount of humic acids. Climate: relatively cold climatic region with long winter and relatively persistent snow cover and wet summer: average annual temperature: 4-5°C, average annual precipitation: ca 900 mm. Eastern part - Geology: southern part: amphibolite, serpentinite, northern part: granites and gneisses. Geomorphology: complex of shallow terrain depressions and backswamps in the flat highland plateau of the Tepelská vrchovina Highlands (SE part) and the Slavkovský les Highlands (NW part). 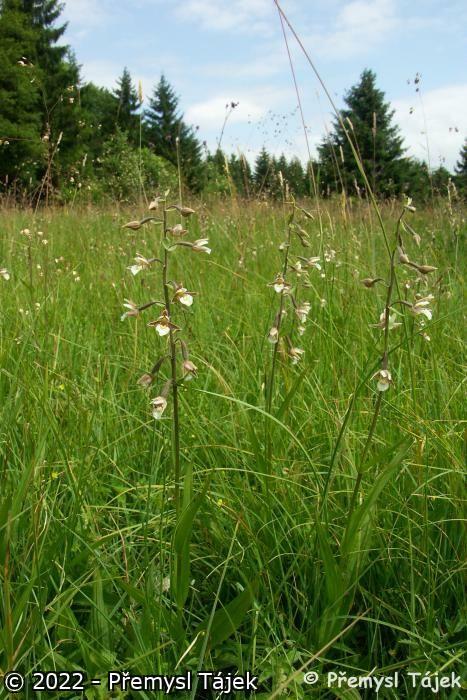 Vegetation: secondary non-forest vegetation (wet grassland, marshes, peatbogs, mesic grassland), except raised bogs in the Smraďoch Natural Reserve and northern part of the Krásenské rašeliniště. Hydrology: average annual precipitation is 600-800 mm (with wet summer - 60-80 mm per month, and dry autumn and winter - 30-50 mm per month). Plenty of smaller wet depressions, shallow valleys and spring fields connected with the upper Teplá River (southern part) with tributaries, Pramenský potok Brook (central part) and Dlouhá stoka Brook and Lobezský potok Brook (northern part). Many mineral springs with unique mineral composition, some of them bottled and world known (Magnesia), water-supply reservoir connected with world famous spa towns – Karlovy Vary and Mariánské Lázně. 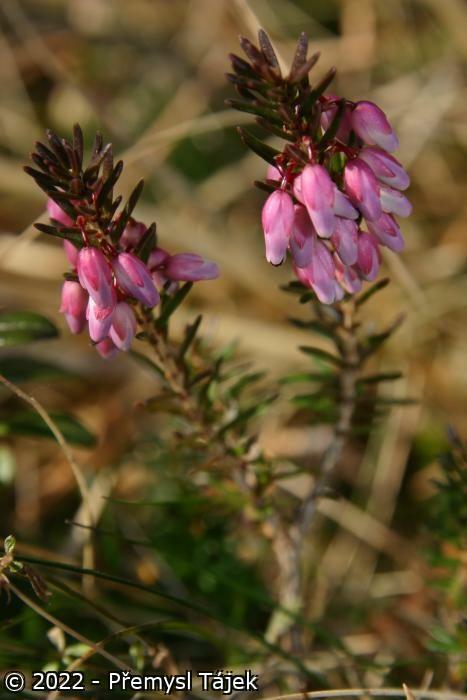 Soil type: quarternary sediments, peats, fens, gley-soils. 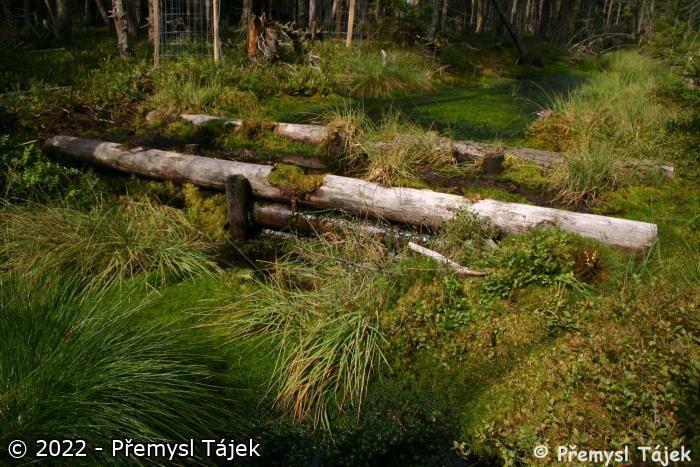 Water quality: high, source of potable mineral waters, source of potable water (Podhorní nádrž Reservoir is source of potable water for Mariánské Lázně), protected water-supply areas, Pramenský potok Brook is part of the Site of Community Importance (SCI) CZ043195 Teplá s přítoky a Otročínský potok designated for Cottus gobio species. Climate: Average annual temperature: 5-6°C, average annual precipitation: 650-950 mm. 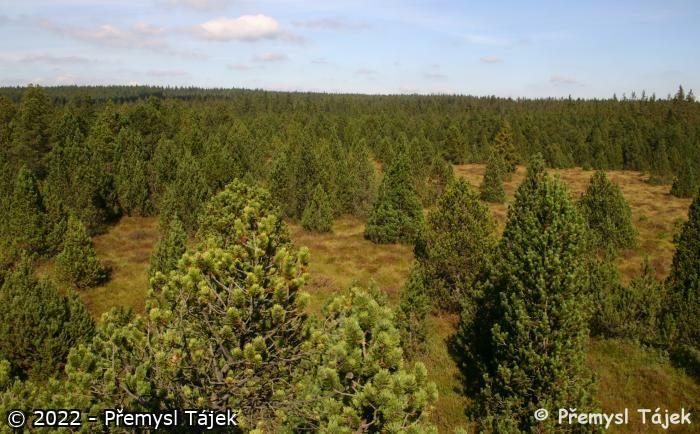 Western part: Vegetation in the eastern part of the Ramsar site belongs to the raised bogs, primary Pinus rotundata bog forests, bog spruce forest, transitional mires and secondary spruce forests. Dicrano-Pinion (Vaccinio uliginosi-Pinetum rotundatae), Piceion excelsae (Sphagno-Piceetum, Mastigobryo-Piceetum), Sphagno recurvi-Caricion canescentis, Sphagnion medii (Pino rotundatae-Sphagnetum), Cardamino-Montion. 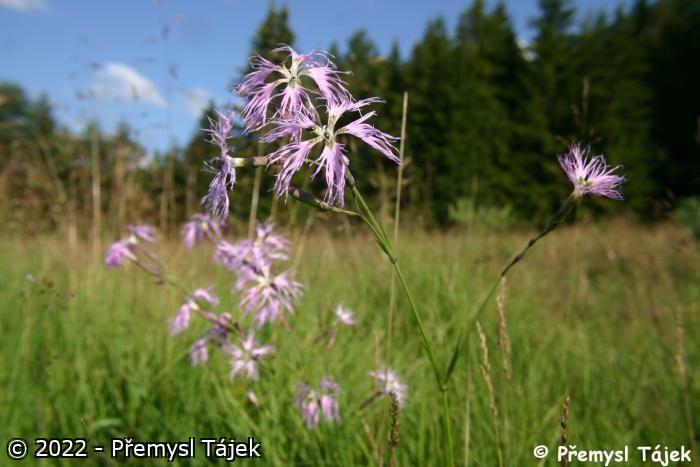 Eastern part: Vegetation in the eastern part of the Ramsar Site belongs to the alkaline rich fens on serpentinite (of internationally importance), acidic fens, wet meadows, vegetation of mineral springs, transition mires and fragments of mire forests and shrubs: Sphagno warnstorfiani-Tomenthypnion (Amblystegio stellati-Caricetum dioicae), Caricion fuscae (Caricetum goodenowii, Sphagno-Caricetum appropinquatae, Caricetum rostratae, Caricetum diandrae), Sphagno recurvi-Caricion canescentis, Sphagnion medii, Nardo-Juncion squarrosi (Nardo-Juncetum squarrosi), Calthion (Polygono-Trollietum altissimi, Polygono-Cirsietum heterophylli, Polygono-Cirsietum palustris, Angelico Cirsietum palustris, Chaerophyllo hirsuti-Filipenduletum), Molinion (Junco effusi-Molinietum caeruleae), Cardamino-Montion, Sphagno recurvi-Caricion canescentis, Piceion excelsae (Sphagno-Piceetum, Mastigobryo-Piceetum), Alnion incanae (Alnenion glutinoso-incanae), Salicion cinereae. Western part: changes in tree species composition of forest caused by forest management, drainage channels. 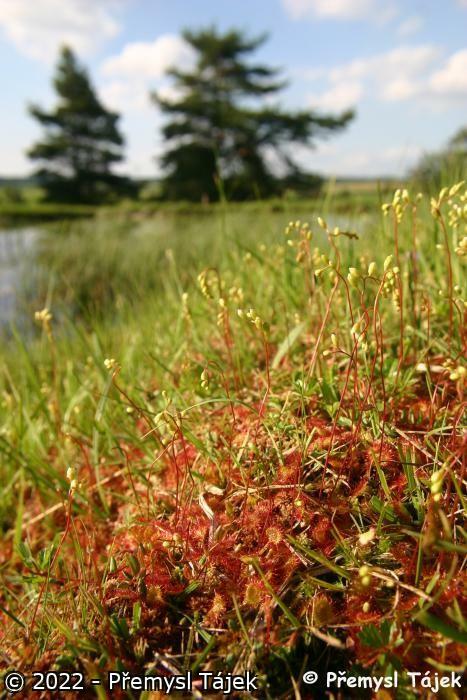 Eastern part: drainage channels, cattle grazing, peat digging was applied in some parts, invasion of alien species, abandonment of secondary grassland and changes in species composition of forests, changes in land-use – especially reallotment of land. Important groundwater recharge and resource of mineral water that rise from many natural emergencies in the area. The most important complex of natural habitats with high retention capability of water in the area. Spring area of many regional important watercourses. Countryside that ideally associate biological worth and still more actual water retention (related to flood risk in cultural landscape). 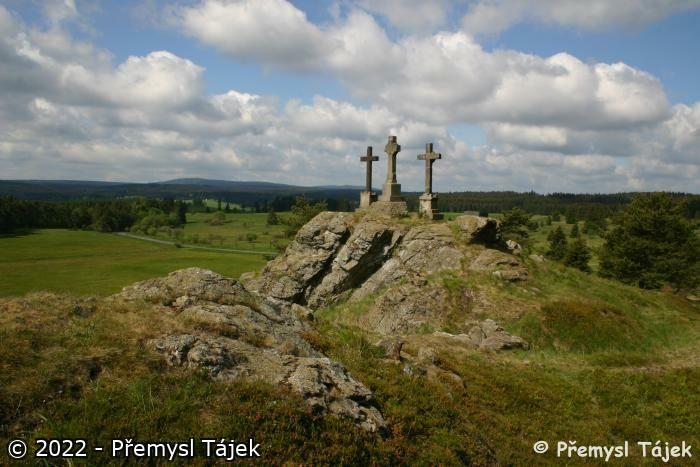 The site is a source of important mineral springs, some of them are bottled and traded, and the area is considered to be important spa region in Central Europe. Western part: Andromeda polifolia –endangered species, abundantly in suitable habitats, Arnica montana – endangered and biogeographically important species of drier margins of wetland, Carex appropinquata – very rare and endangered species, one locality, Carex diandra – endangered and very rare species present at two localities, Dactylorhiza fuchsii – endangered species, in this forested part quite rare, Dactylorhiza majalis – endangered species, in this forested part relatively rare, Drosera rotundifolia – endangered species, straggled mainly in more open sites, Empetrum nigrum – endangered species, abundantly in suitable habitats, Lathyrus linifolius – biogeographically important species of non-forested sites, Menyanthes trifoliata – endangered species, rare, Montia hallii – rare and endangered species, one locality, Oxycoccus palustris – endangered species, abundantly in suitable habitats, foodplant species of species Boloria aquilonaris, Pinus rotundata – rare species (considered to be endemic in Central Europe by some authors), in western part of wetland major tree species (together with Picea abies), Pinus x pseudopumilio – rare species, at Lysina peatbog major tree species, Potentilla palustris – rare (according to the Red List of the Czech Republic) but quite common species in suitable habitats, Vaccinium uliginosum – characteristic species of peat-bogs, foodplant species of species Colias palaeno. Eastern part: Aconitum variegatum – rare and endangered species, several localities in alluvial forests, Aconitum lycoctonum – rare and endangered species, one locality in alluvial forest, Andromeda polifolia – rare and endangered species, two localities, Arnica montana – endangered and biogeographically important species in drier margins of wetland, intermittently wet meadows and fens, Botrychium lunaria – rare and endangered species of drier margins of wetland, Carex appropinquata – very rare and endangered species, two localities, Carex cespitosa – rare species, one locality, Carex davalliana – endangered and very rare species present at over ten localities, Carex diandra – endangered and very rare species present at several localities, Carex dioica – extremely rare and endangered species, two localities, Carex pulicaris – endangered and rare species present at several tens of localities (only in the southern part), Carex umbrosa - endangered and rare species straggled in the central part, Cerastium alsinifolium – endemic species (only on serpentinite in the Slavkovský les Highland), abundant populations in wet forests in the central part, Corallorhiza trifida – very rare and endangered species, only one known locality, Dactylorhiza majalis – endangered but still quite common species in the area, Dactylorhiza fuchsii – endangered species present straggled in the central part, Dianthus superbus – very rare and endangered species, only three recently known localities (Molinion), Dianthus sylvaticus – endangered and biogeographically important species present scattered in the central and northern part, Drosera rotundifolia – endangered species present in peaty areas, several localities, one of them very abundant (Krásenské rašeliniště), Eleocharis quinqueflora – extremely rare and endangered species, three localities, Empetrum nigrum – endangered species, three localities, Epipactis palustris – very rare and endangered species, three recently known localities, Eriophorum latifolium – very rare and endangered species, three known localities in the area, Iris sibirica – rare and endangered species with several abundant populations, Lathyrus linifolius – biogeographically important species present scattered in the central part, Lilium bulbiferum - very rare and endangered species, only one known locality, drier margin of wetland, Menyanthes trifoliata – endangered but still quite common species in the area, many abundant localities (e. g. Rašeliniště u myslivny Nature Reserve), Moneses uniflora – endangered and very rare species, one locality, Montia hallii – rare and endangered species of meadow springs, over ten localities, Orchis mascula - very rare and endangered species in the area, only one known locality (out of two in the region), Molinion, Oxycoccus palustris – endangered and rare species present in several peat habitats in the area, foodplant species for Boloria aquilonaris, Parnassia palustris – disappearing, rare and endangered species, several localities in non-abundant populations, Pedicularis palustris – very rare and endangered species present at five recently known localities, Pedicularis sylvatica – endangered and rare species with several localities concentrated in the central part, Pinguicula vulgaris – rare and endangered species of fens and peats, Potentilla palustris – rare (according to the Red List of the Czech Republic) but quite common species in the area, Salix myrtilloides – extremely rare and endangered species, which was considered to be extinct in the Czech Republic, one locality, Salix repens – rare and endangered species, several localities, Salix rosmarinifolia – rare and endangered species, in the area still relatively frequent, Scorzonera humilis – rare and endangered species of fens and wet meadows, more than ten localities, Serratula tinctoria – in the region very rare species, only one known locality, Succisa pratensis – characteristic species of intermittently wet meadows and fens, foodplant species for Euphydryas aurinia, Trifolium spadiceum – rare (according to the Red List of the Czech Republic) but relatively common species in the area, Triglochin palustre – rare but typical species, several tens of localities in the area, Trollius altissimus – endangered and rare species typical for the central part of wet meadows, several localities, some of them very abundant (e.g. Úpolínová louka pod Křížky National Nature Reserve), Vaccinium uliginosum – characteristic species of wet and peat meadows in the central and northern part, foodplant species of species Colias palaeno, Valeriana dioica – rare (according to the Red List of the Czech Republic) but relatively common species in the area. Another endangered, rare or important plant species present in the area in non-wetland habitats: Asplenium adulterinum, Asplenium cuneifolium, Galium sudeticum, Erica carnea, and Polygala chamaebuxus. Euphydryas aurinia (Cranberry Fritillary) – the most endangered daily butterfly of Europe. Centre of distribution of this species is situated in the Slavkovský les Highlands and neighbouring northern area near Bochov and Karlovy Vary. Euphydryas aurinia is strictly dependent on wetland meadows and fens with Succisa pratensis, which is a typical species in wet meadows and fens in the Slavkovský les Highlands. Colias palaeno (Moorland Clouded Yellow) – very rare species, in Czech Republic only in the western part (Šumava Mts., Krušné hory Mts., and Slavkovský les Highlands). Colias palaeno is strictly dependent on mires with Vaccinium uliginosum, which is typical species in peat bogs and wet meadows in the Slavkovský les Highlands. Leucorrhinia albifrons (Eastern White-faced Darter) – endangered species in Europe. Eurosiberian species, which is very rare in the Czech Republic occurring mainly in north Bohemia (Českolipsko). This dragonfly prefers stagnant oligotrophic or mesotrophic as well dystrophic bog waters – especially sunny forest ponds, fens and lakes with low abundance of fish. 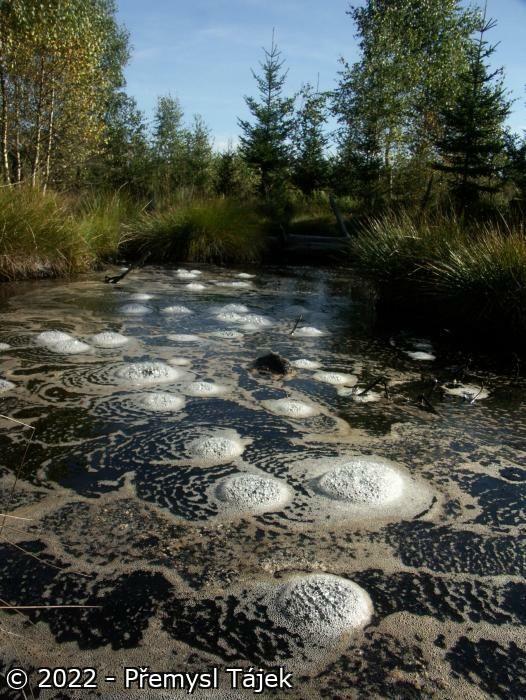 Stabile isolated population of 2,000-5,000 of individuals in the Komáří rybníky Ponds. Gallinago gallinago (Common Snipe) – endangered species in whole Europe with recent population decline (24-32% of original population). Typical habitat of Common Snipe are wet meadows and fens. Population in the Slavkovský les Highlands is about 15 breeding pairs situated mainly in the eastern part. Crex crex (Corncrake) – the European endangered species, after drastic decline 1950-1980, its numbers started to increase. 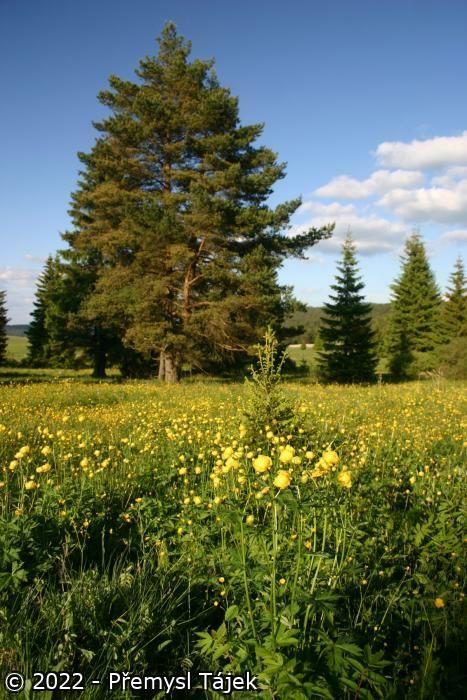 The population is concentrated in upland wet meadows, mainly in the eastern and northern part of the Slavkovský les Highlands. 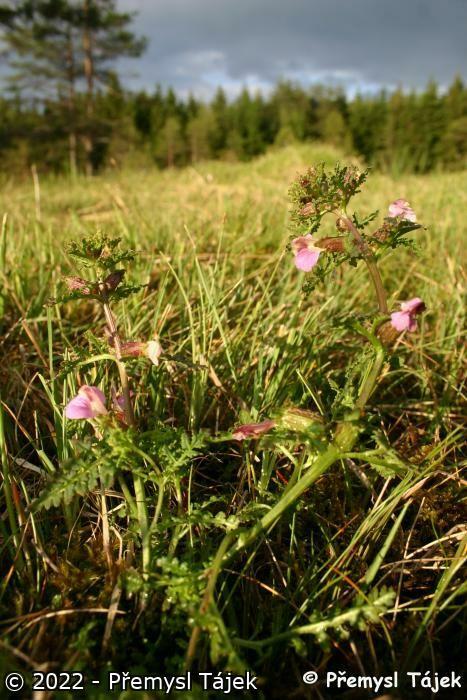 Systematic and long-term floristic and faunistic survey held by the Slavkovský les Protected Landscape Area Administration. 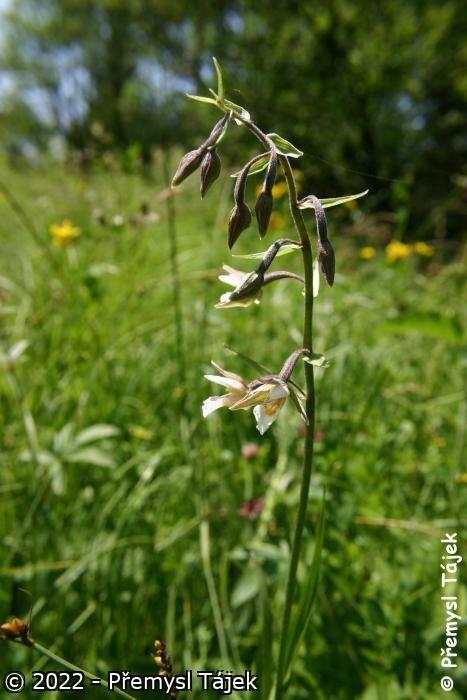 Monitoring of habitats in selected protected areas held by the Agency for Nature Conservation and Landscape Protection of the Czech Republic. 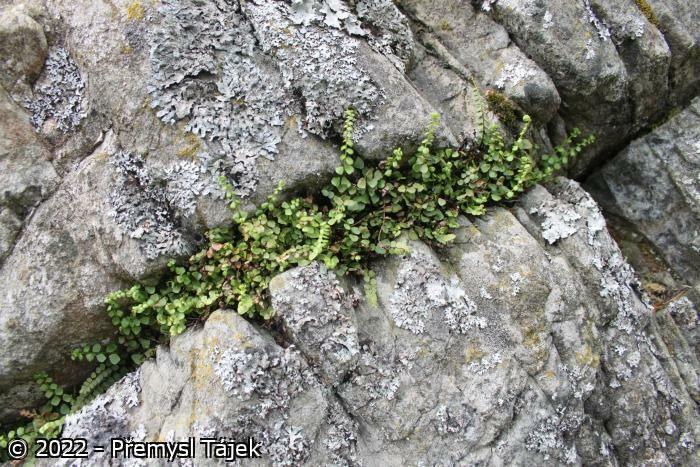 Monitoring of endemic species Cerastium alsinifolium and its habitats held by the Agency for Nature Conservation and Landscape Protection of the Czech Republic. 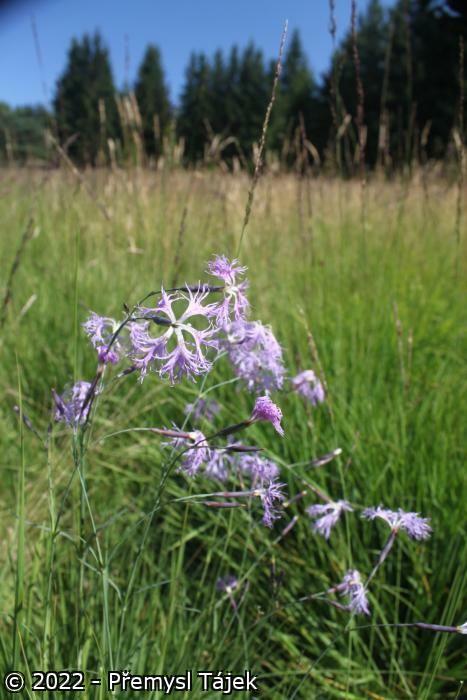 Monitoring of Dianthus superbus held by the Agency for Nature Conservation and Landscape Protection of the Czech Republic. 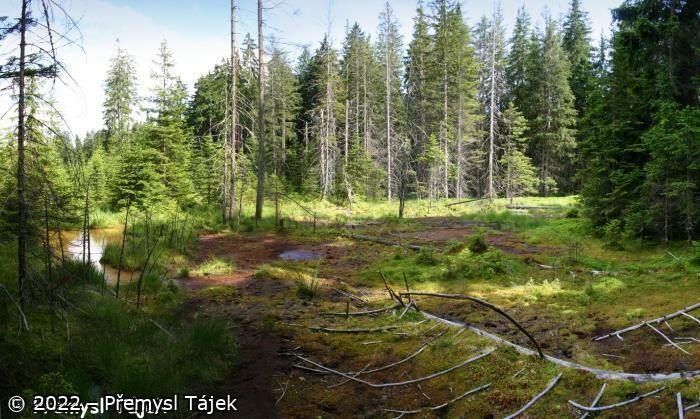 Survey of amphibians (in the whole Protected Landscape area Slavkovský les, since 2007) held by the Agency for Nature Conservation and Landscape Protection of the Czech Republic. 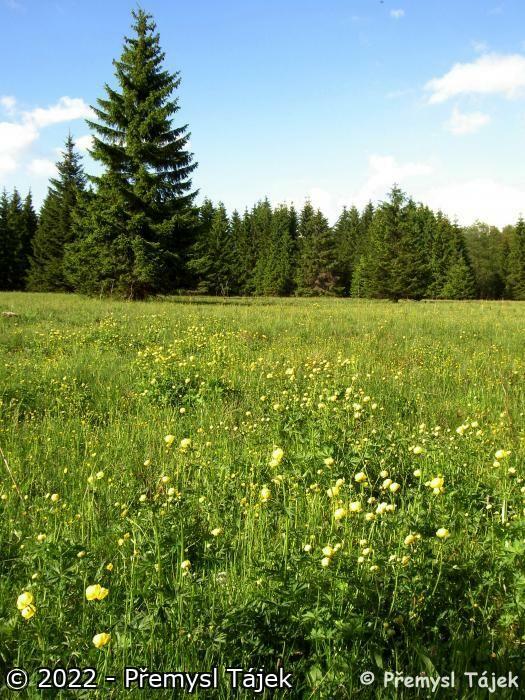 Monitoring of populations of Euphydryas aurinia held by the Agency for Nature Conservation and Landscape Protection of the Czech Republic. Monitoring of Leucorrhinia albifrons (at Nový rybník Fishpond, Krásno) held by the Agency for Nature Conservation and Landscape Protection of the Czech Republic. Wetland is visited mainly through the nature trails (Kladská, Smraďoch). Due to relatively difficult access and passing through other parts, the valuable habitats are little visited. Some ponds are popular for bathing (Kladský rybník, Nový rybník by Krásno, Mýtský rybník by Prameny). Rašeliniště ležící v centrální části Slavkovského lesa bylo ohroženo zarůstáním a odvodněním. Během tříletého období došlo na lokalitě k revitalizaci, kdy bylo odstraněno přes 12 ha zarůstajících dřevin a v původních odvodňovacích kanálech byly vystaveny hrázky, které zde zadrží vodu. Prostor osidlují vzácné druhy rostlin a živočichů, například rosnatka okrouhlolistá či motýli žluťásek borůvkový a perleťovec severní.